Since opening his first restaurant in 2005, Chef Jose Garces has emerged as one of the nation’s leading chefs and restaurateurs. He is the 2009 winner of the James Beard Foundation’s “Best Chef Mid-Atlantic” award and one of only a few chefs in the country to hold the coveted title of Iron Chef. Chef Garces is the author of The Latin Road Home (Lake Isle Press, October 2012), a culinary and cultural tour of Ecuador, Spain, Mexico, Cuba and Peru, and his debut cookbook, Latin Evolution (Lake Isle Press, Fall 2008). 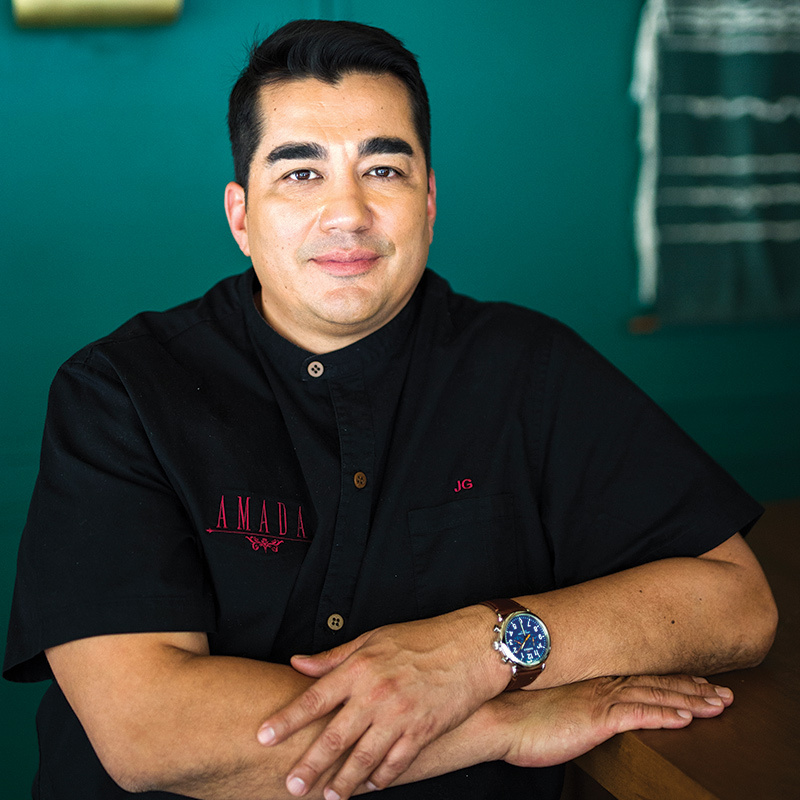 Chef Garces’s eponymous Garces Group operates more than 15 restaurants across the country. His award-winning concepts range from authentic Andalusian tapas and modern Mexican street food to European bistro fare and artisanal American food and drink, as well as a full service event planning division, Garces Events. Garces also operates the Garces Foundation, a philanthropic organization dedicated to Philadelphia’s underserved immigrant community; Garces & Sons Coffee, where Chef Garces works with his father who roasts all of the coffee; and Luna Farm, Chef Garces’ 40-acre farm in Bucks County, PA. For more information about Chef Jose Garces or his restaurants, please visit www.garcesgroup.com.